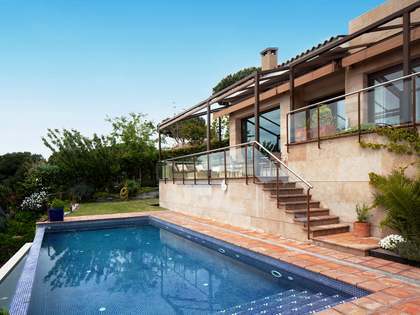 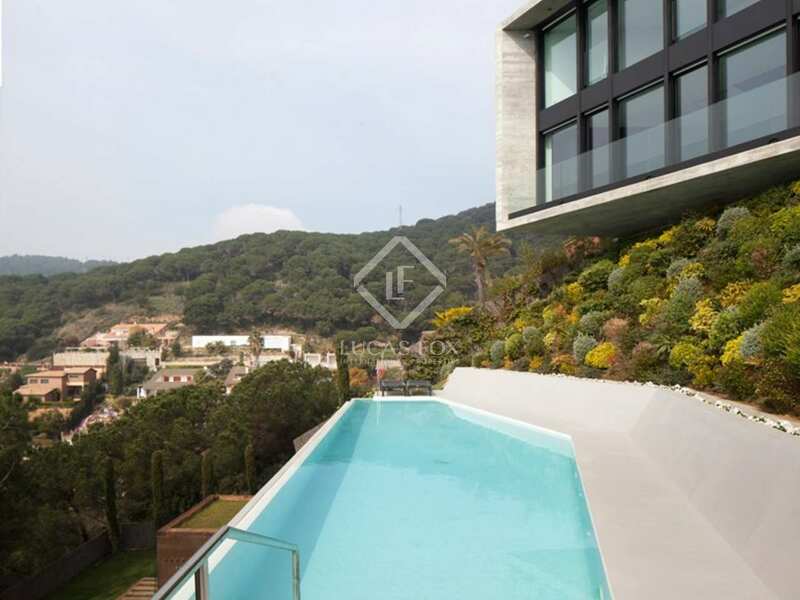 Minimalist villa for sale in Cabrils on the Maresme Coast, with a swimming pool and panoramic sea views. 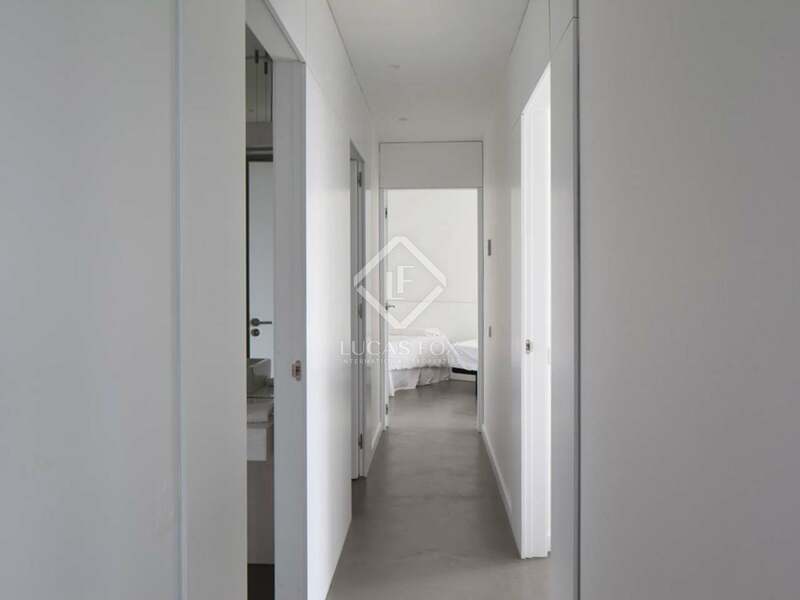 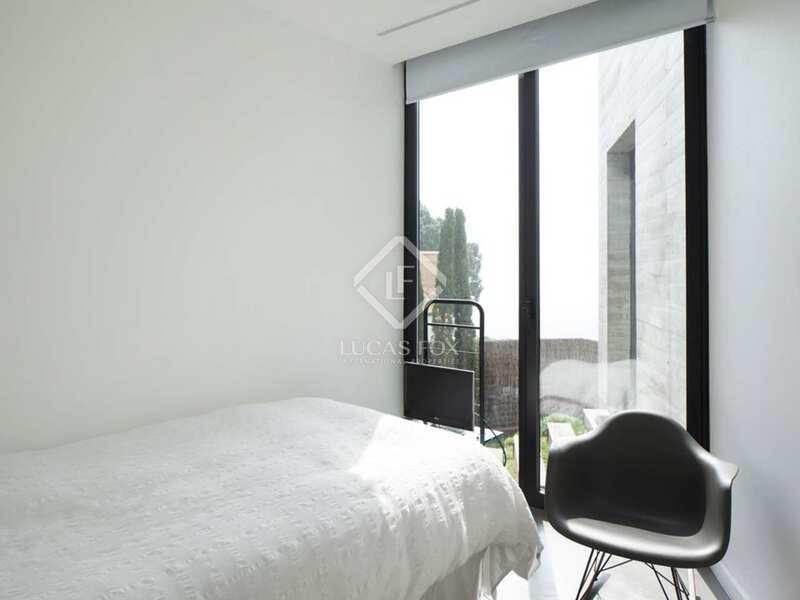 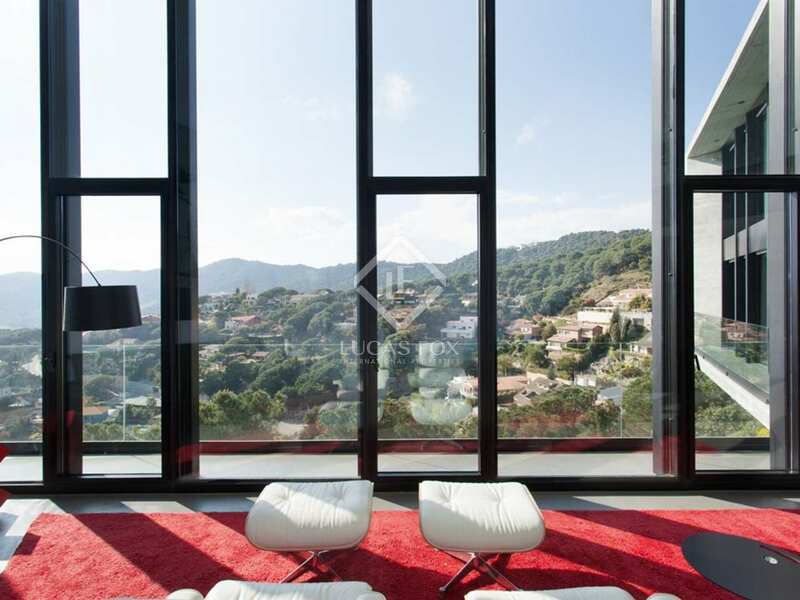 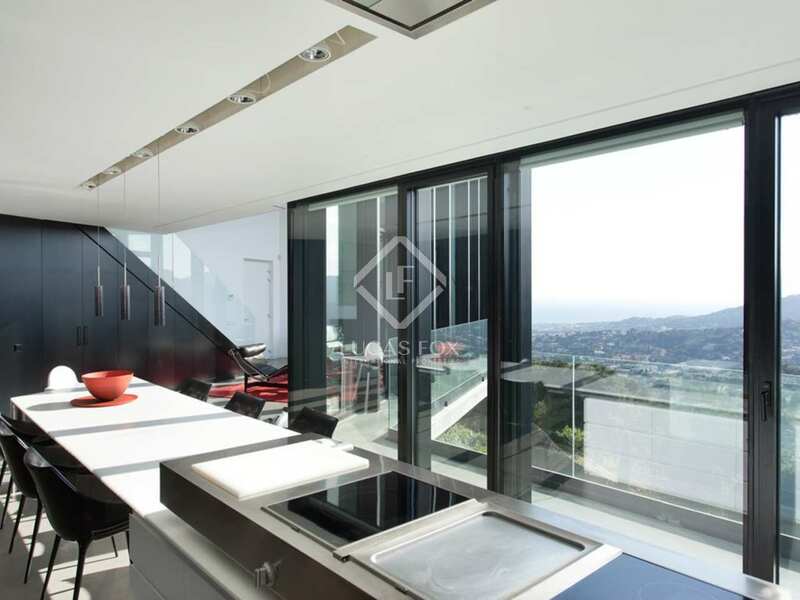 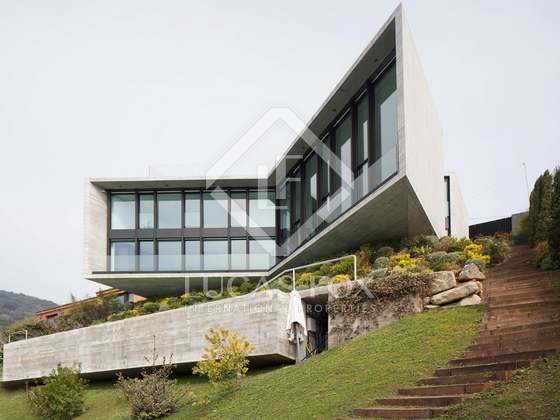 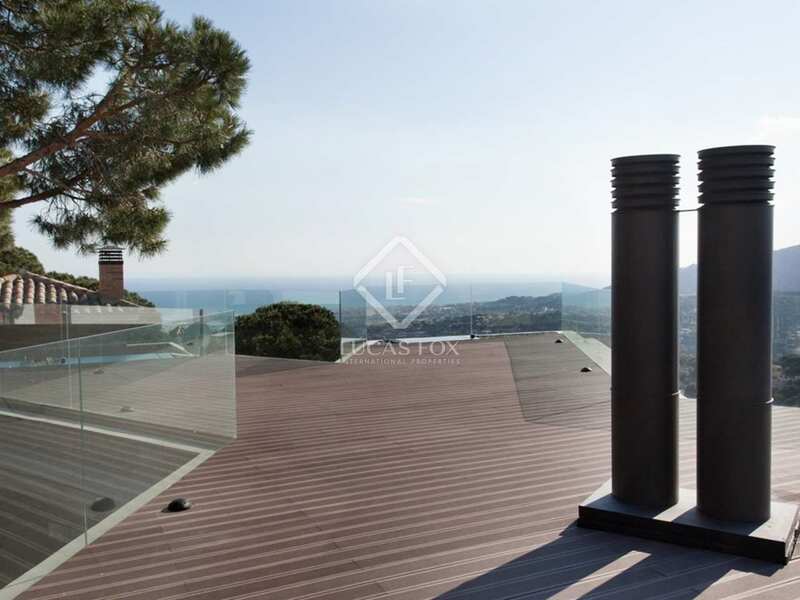 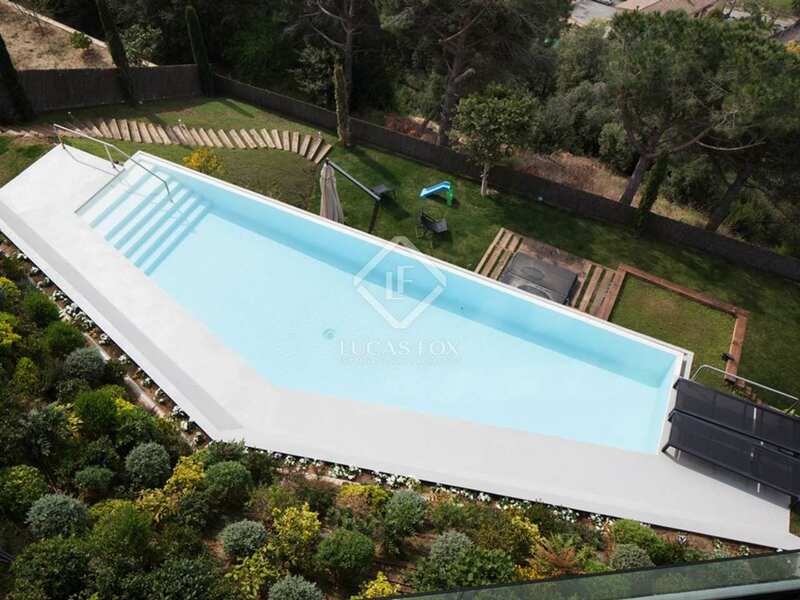 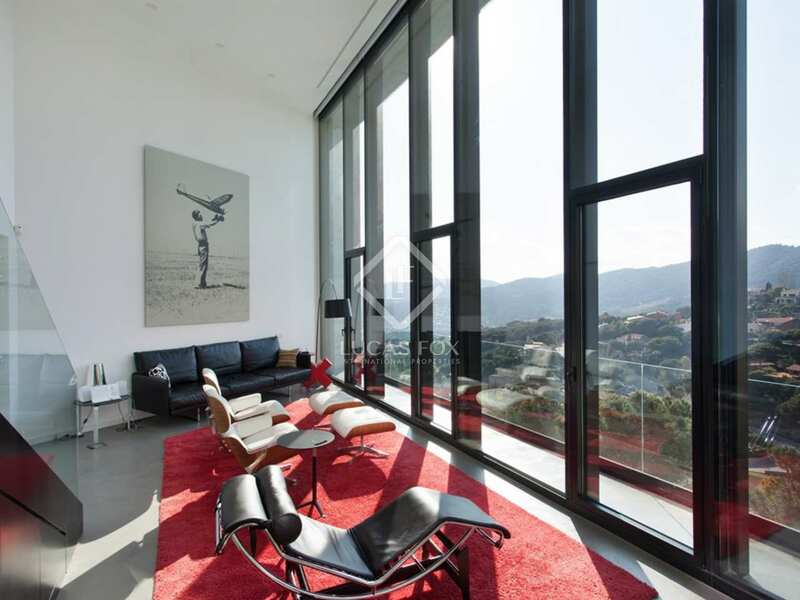 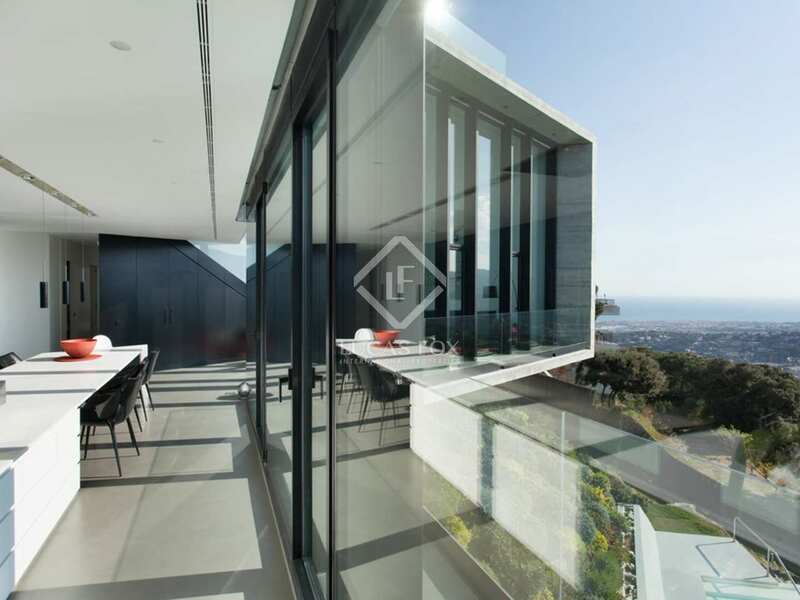 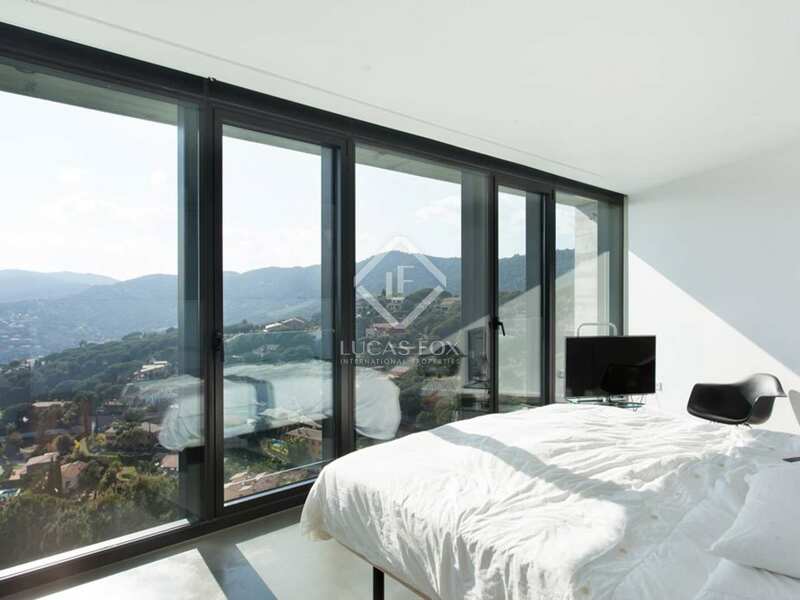 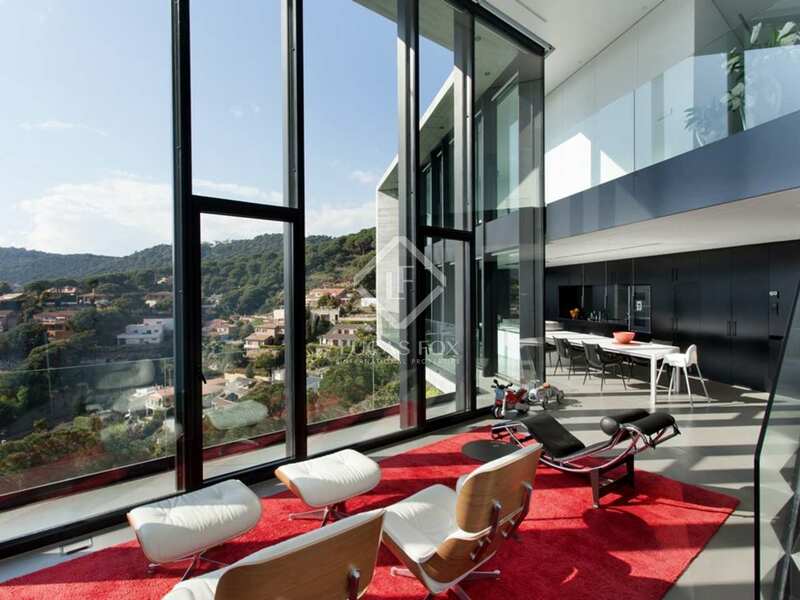 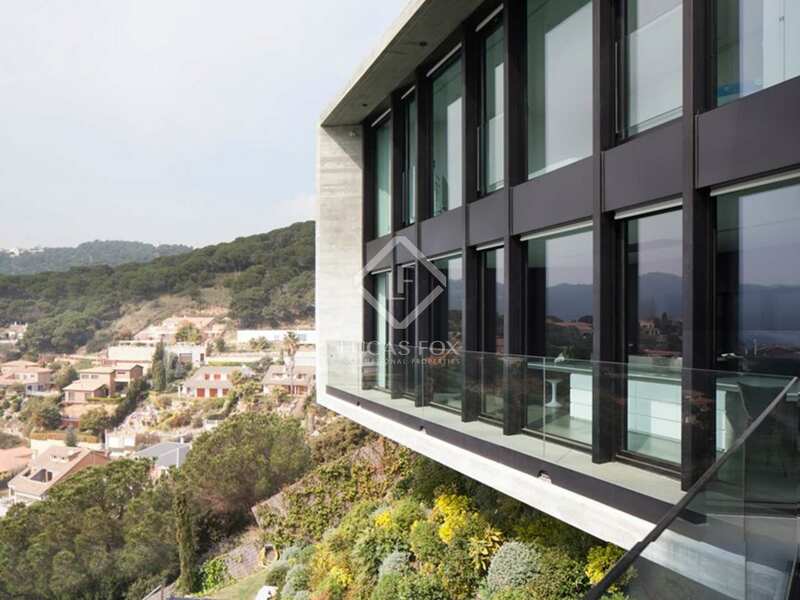 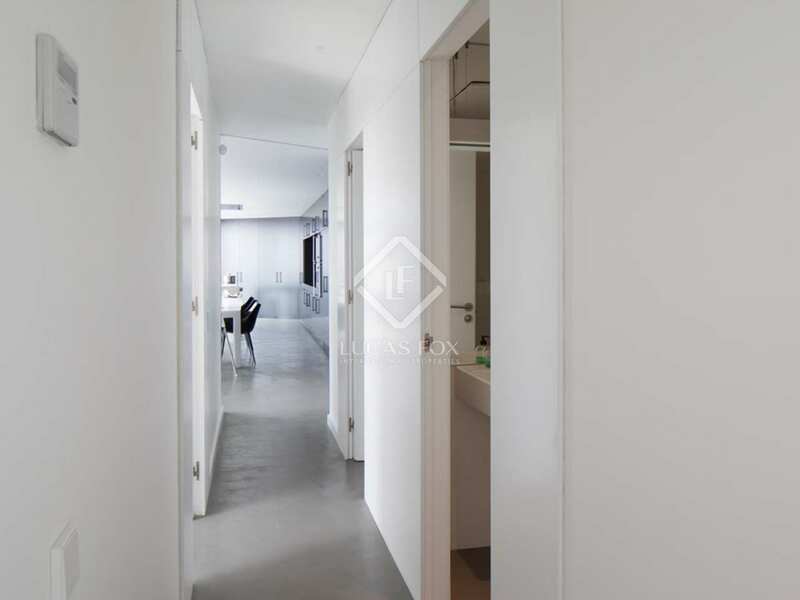 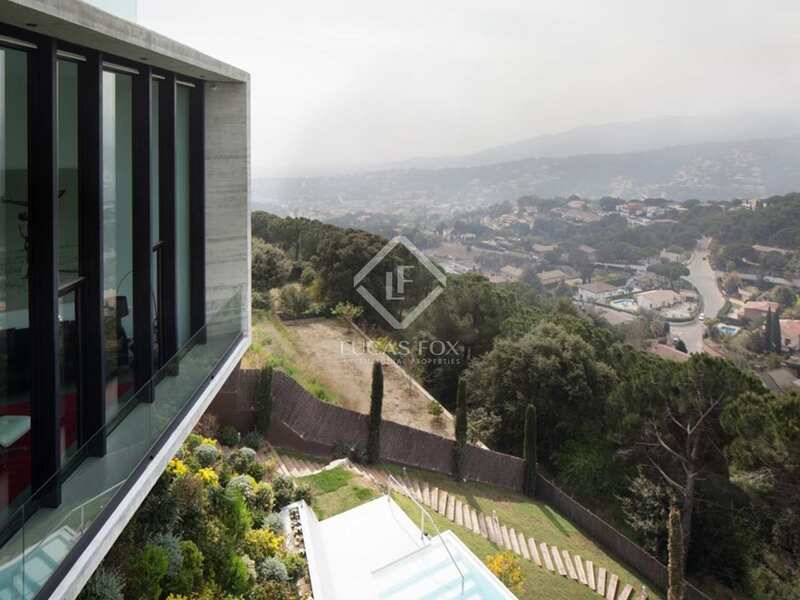 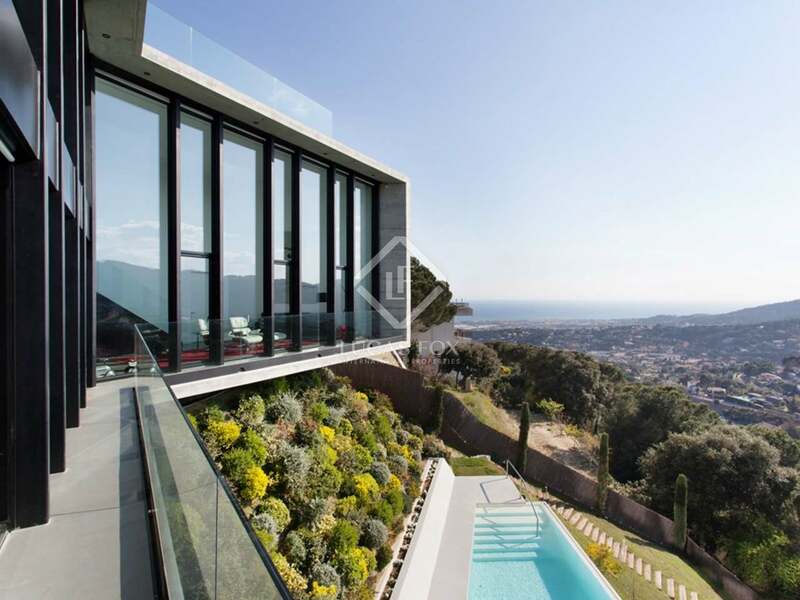 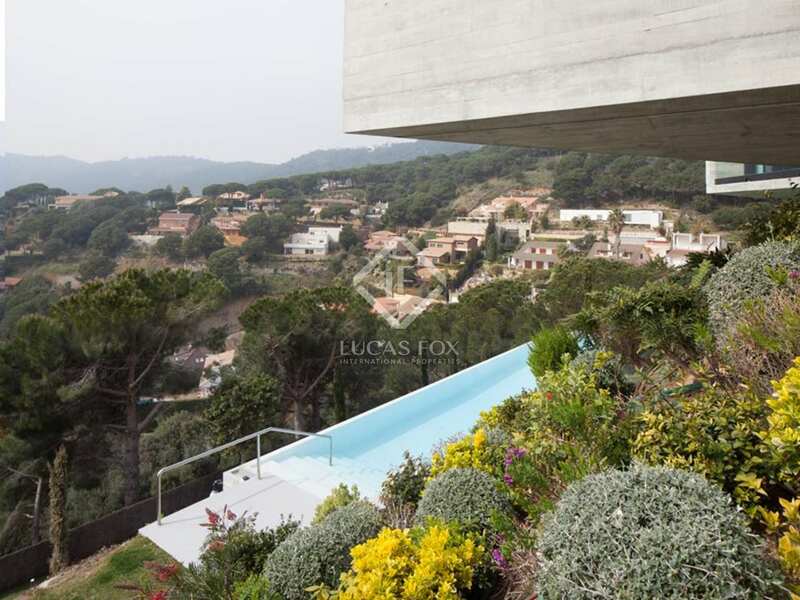 This fabulous, unique, designer property for sale in Cabrils on the Maresme Coast was built in 2012 and offers a freestanding X design distributed over 2 levels of space. 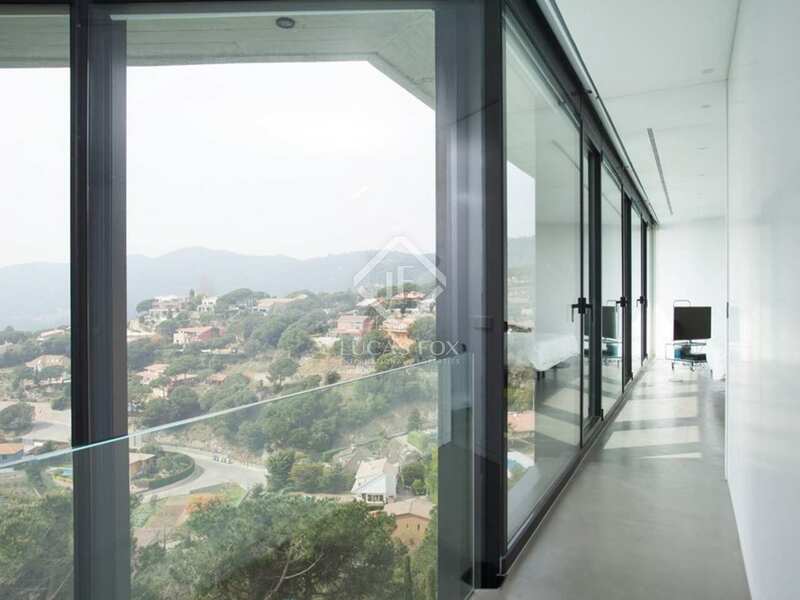 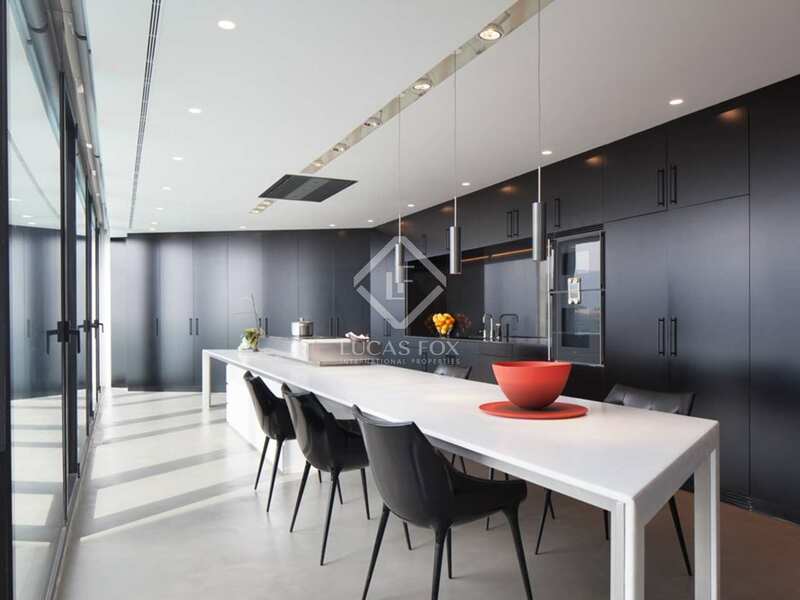 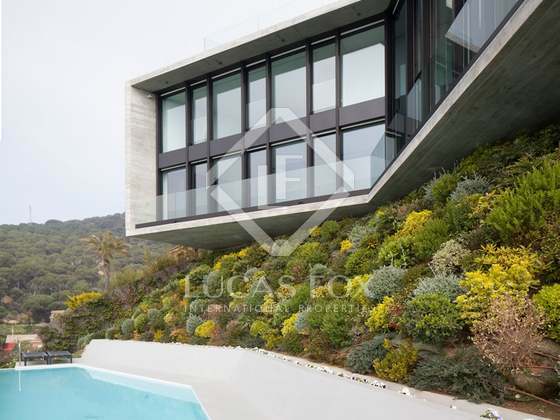 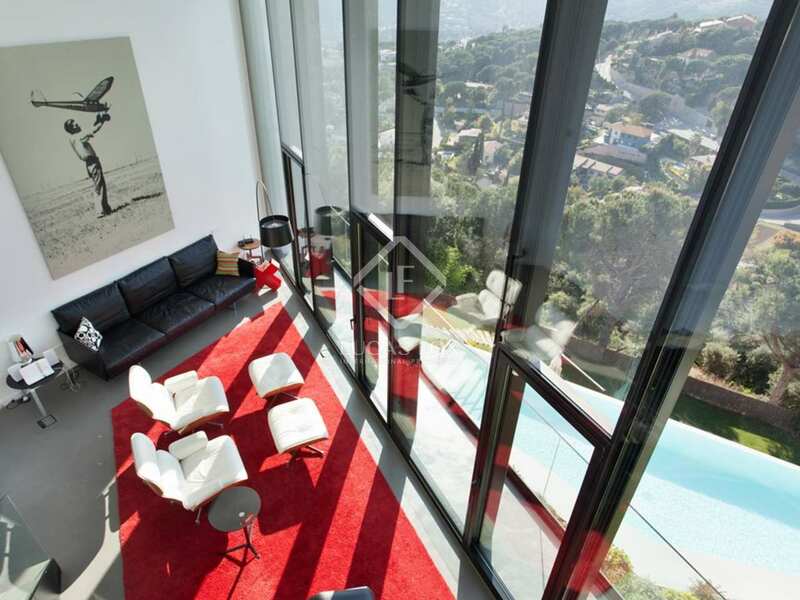 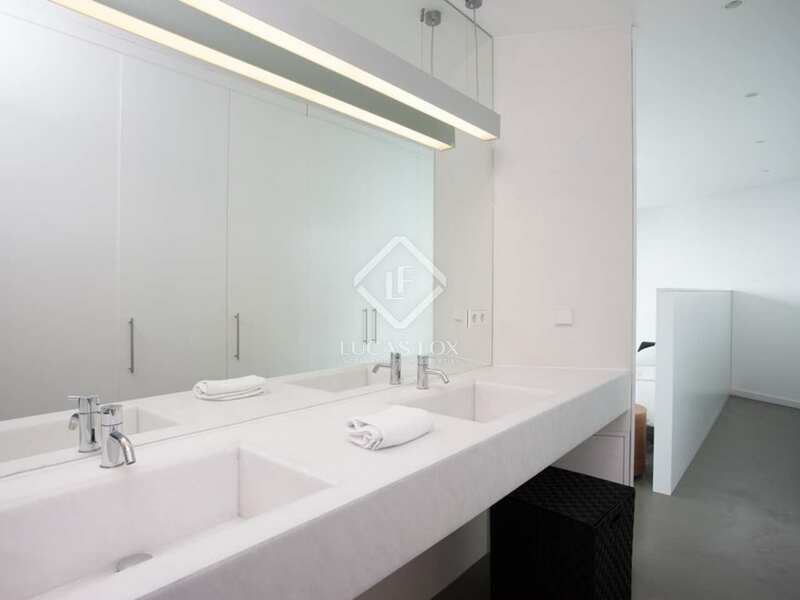 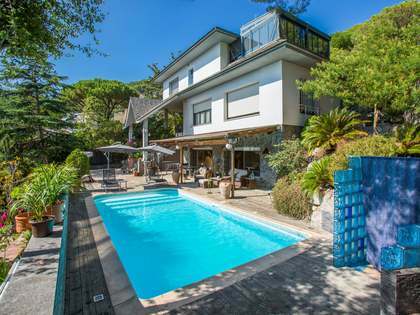 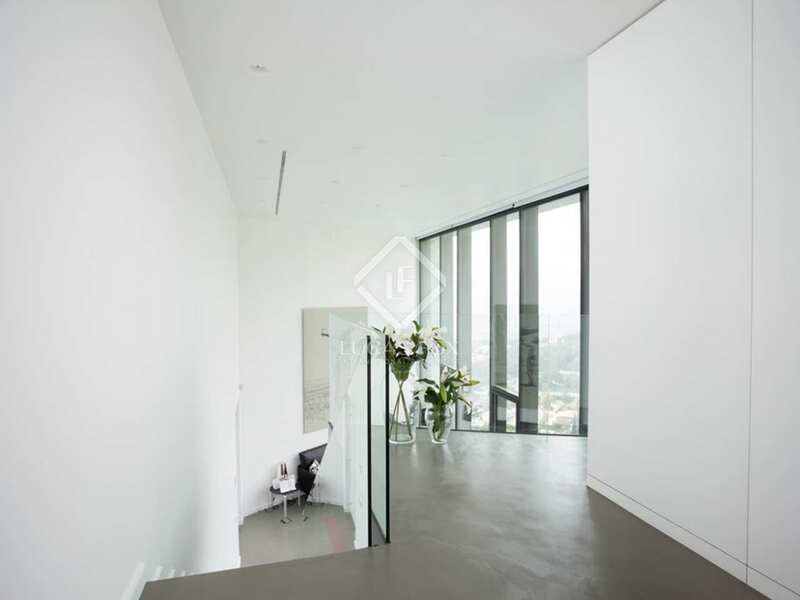 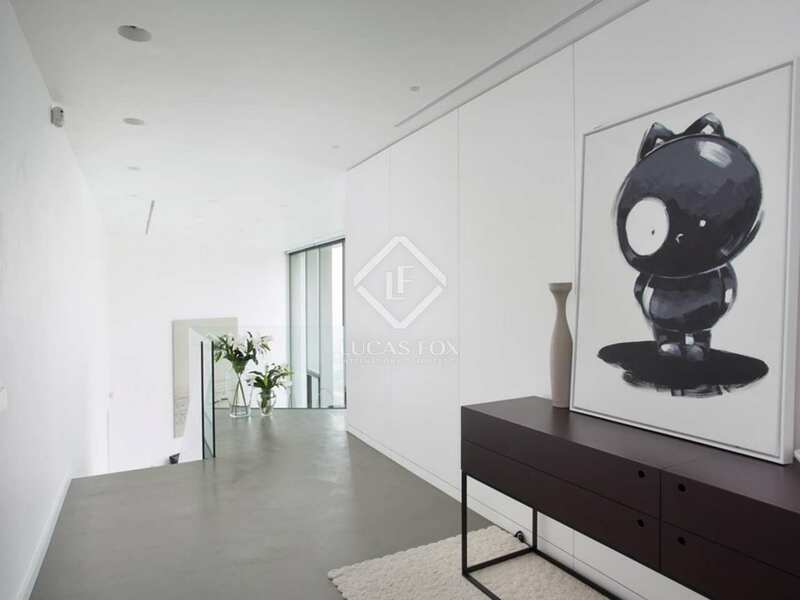 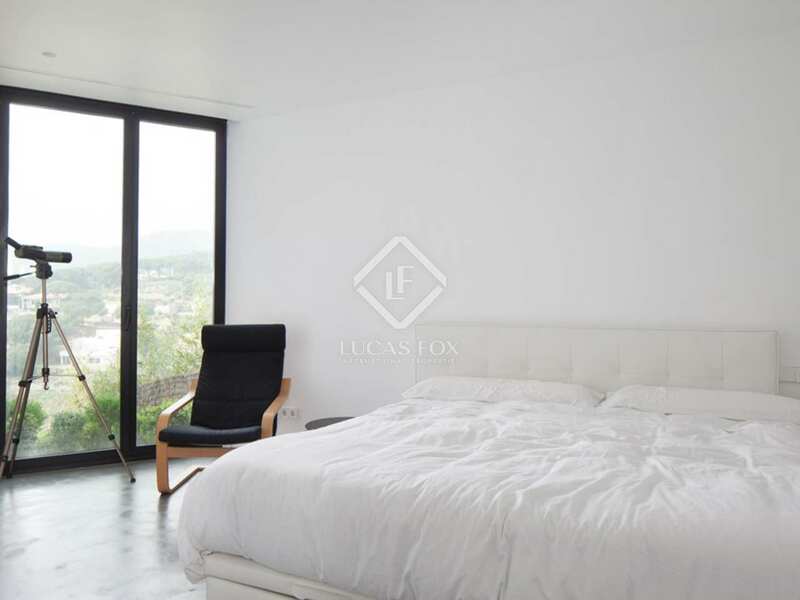 The property is set on a hilltop and boasts high quality finishes throughout, breathtaking mountain and sea views, a minimalist interior design with 6m high ceilings, and an all glass exterior. The home was built by a well known international engineer and has been featured in many designer architectural articles and magazines. 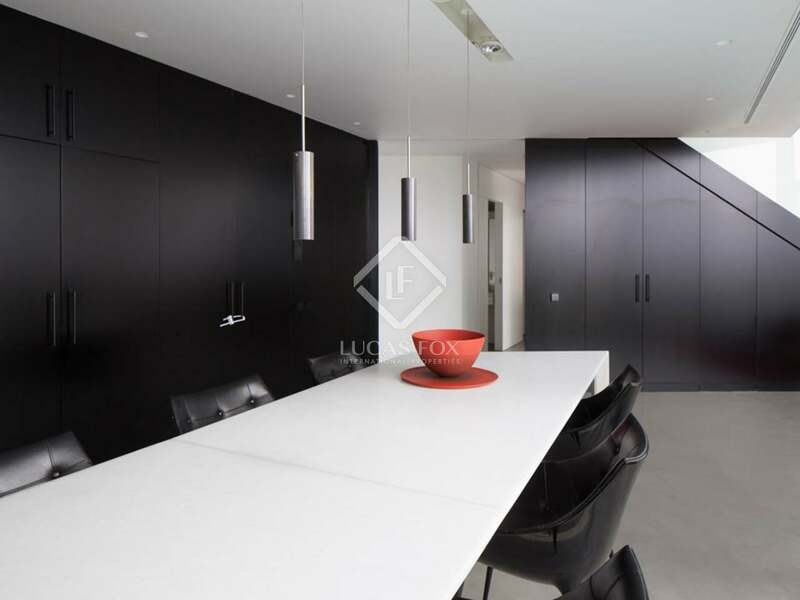 Floor plans and design finishing available upon request. 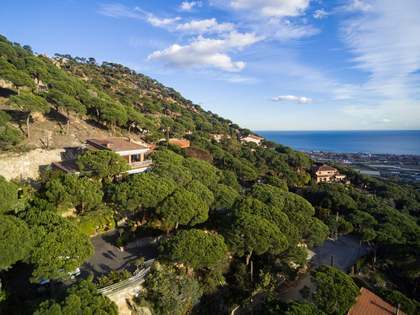 Cabrils is surrounded by the hills of Cirers and Montcabrer, among abundant forests of pines and holm oaks which make it perfect for all sorts of outdoor activities. 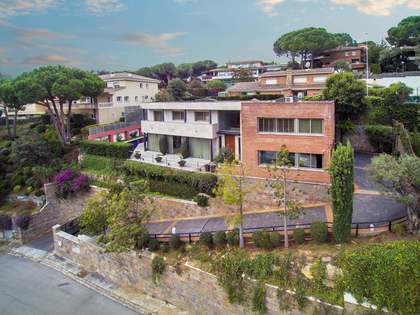 The region is renowned for its gastronomy and wine and this, combined with the beach and marinas, means there is something for everyone in close proximity to one of Europe's most exciting cities.